At Control Panel Designs we have the “Peace-of-mind-offer” which allows a customer to return their panel for changes if necessary for a moderate fee. 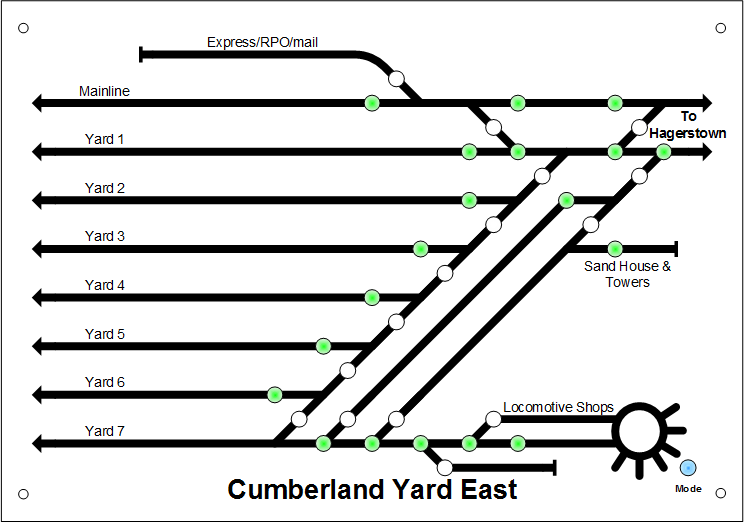 This way customers do not need to purchase new panels if the track plan changes. 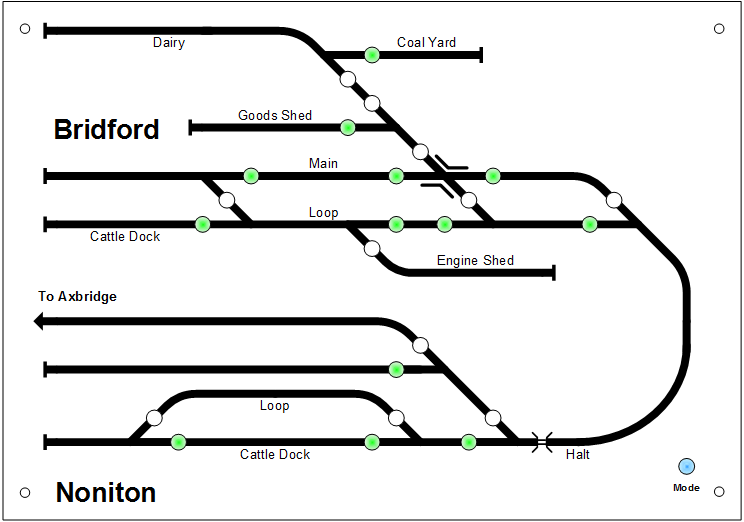 That is what happened with ‘Bridford’, and O Scale GWR Layout set in the 1930’s. 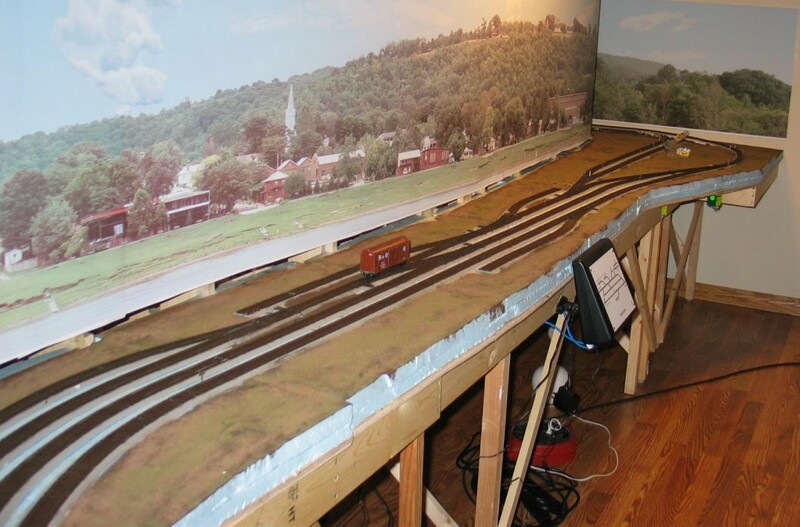 The customer decided to add another station to his terminus layout, making it a point-to-point layout. The panel was returned. 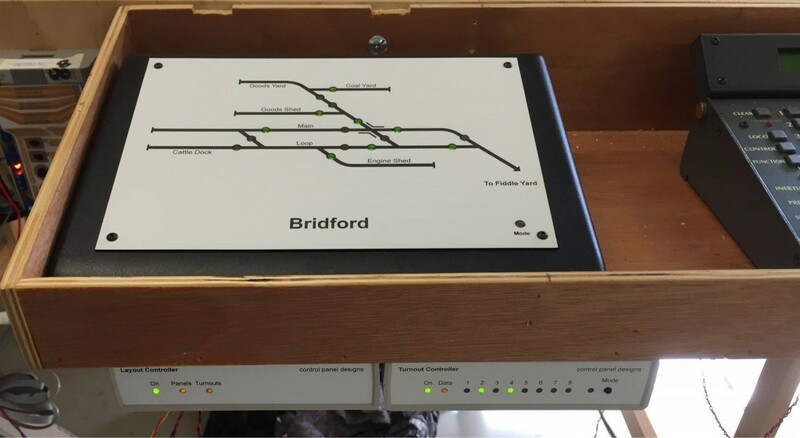 We laser engraved a new fascia, fitted new tactile switches, added another turnout controller and returned the solution to the customer. 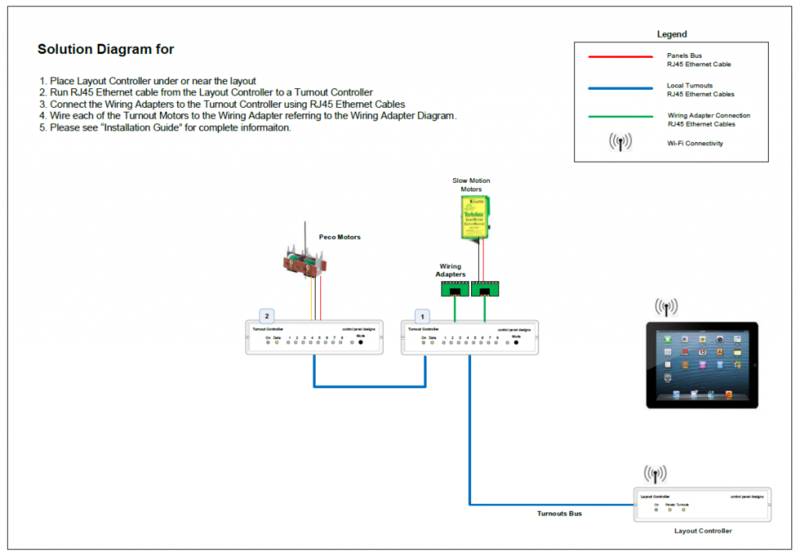 If you view the photos below I have included the solution diagram, the panel designs, and some photos of this layout. The first photo was how the solution was originally designed and delivered. 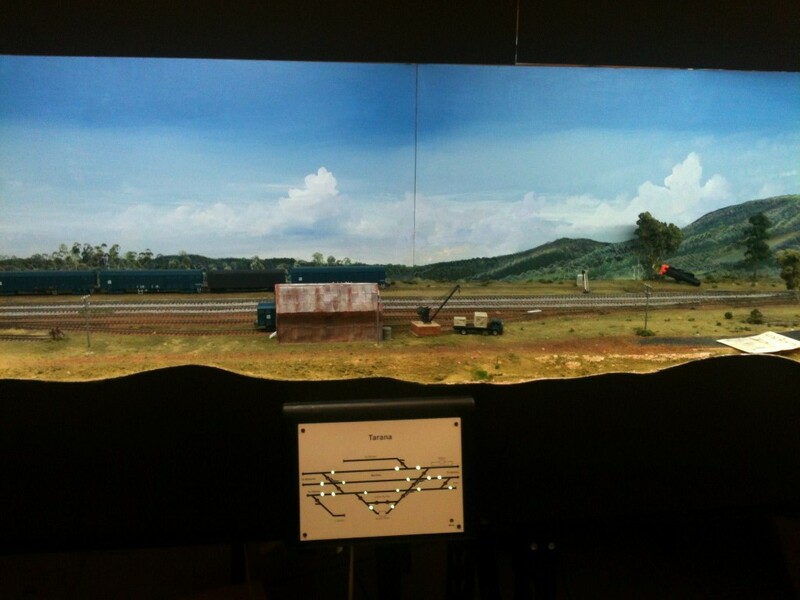 This is a photo of the original panel being used on the layout. 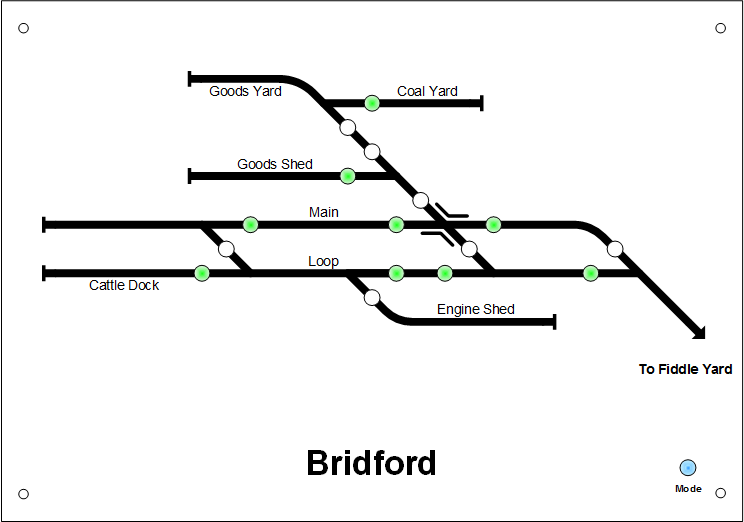 This is an image of the new design. Below that are some general photos of this wonderful O Scale layout. 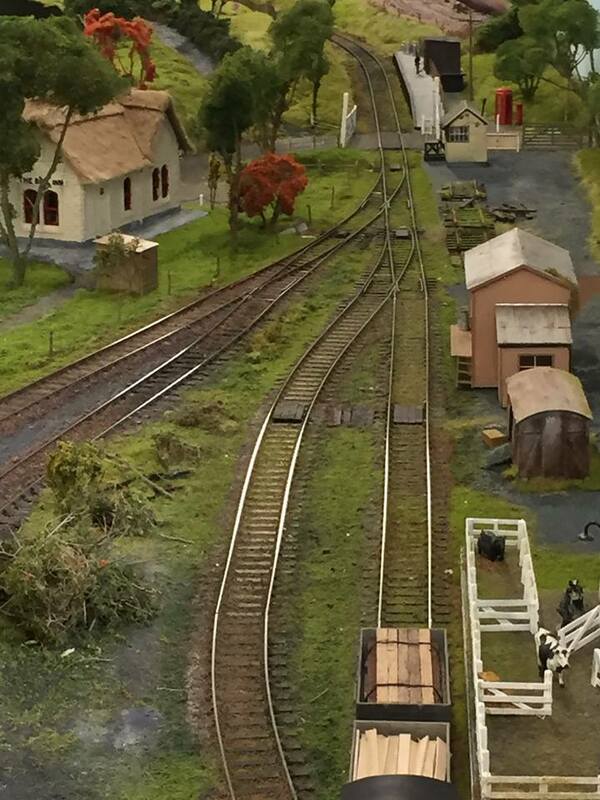 This layout, based on the real town of Bombala in New South Wales, uses our system to control the turnouts. 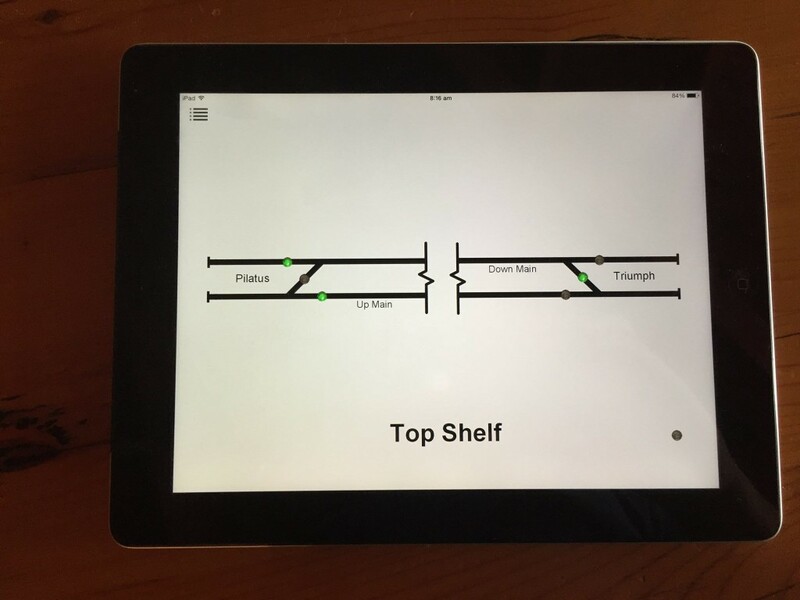 In this case the customer decided not to use physical panels for now, but rather use an iPad. We developed two panels for this customer. 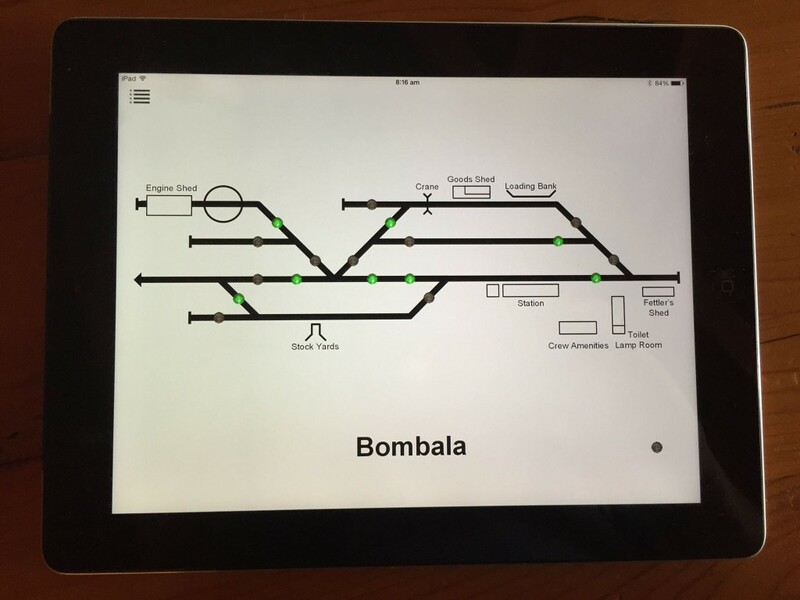 The images below show the design that we did, and then photographs of the Bombala panels being used on an iPad. 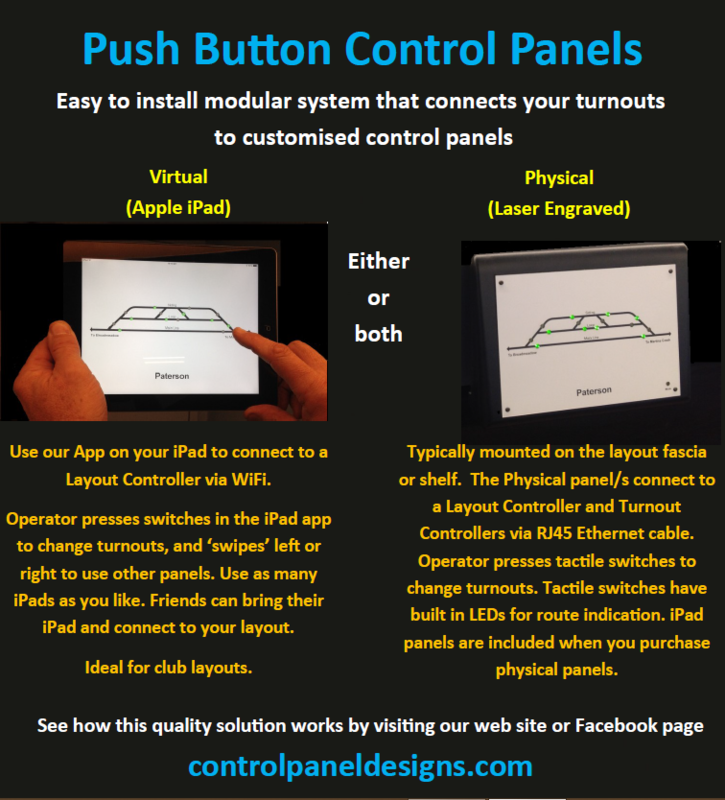 Please see photos below of the Solution Diagram, Design and panels on iPad. 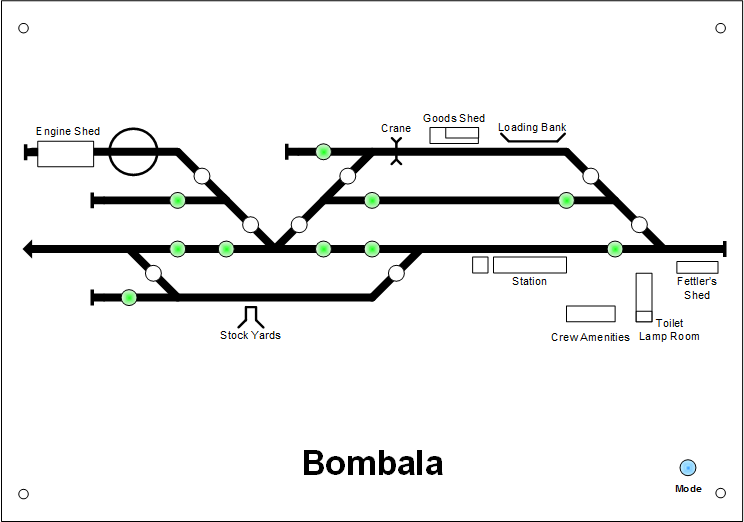 The interesting thing about this layout is that due to some constraints the Bombala station uses Tortoise turnout motors. 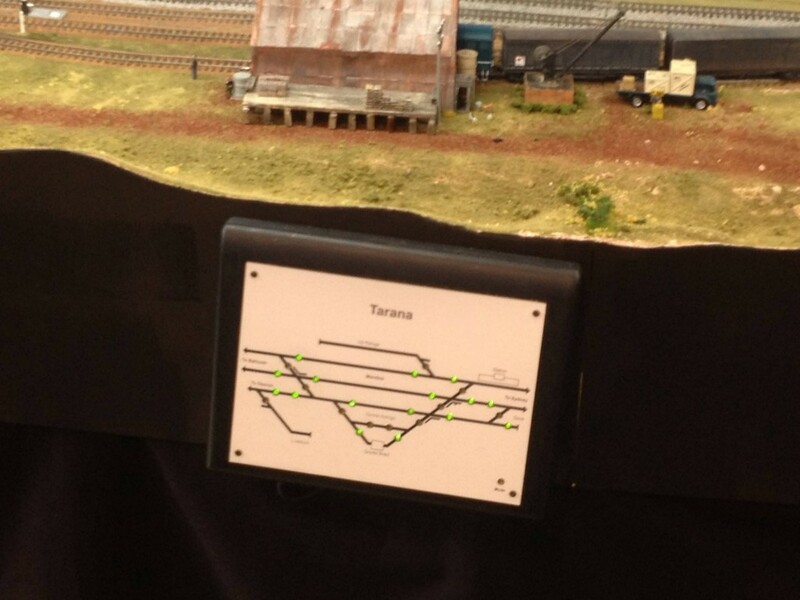 Whereas ‘Top Shelf’ another part of the layout uses surface mounted Peco solenoid based turnout motors. 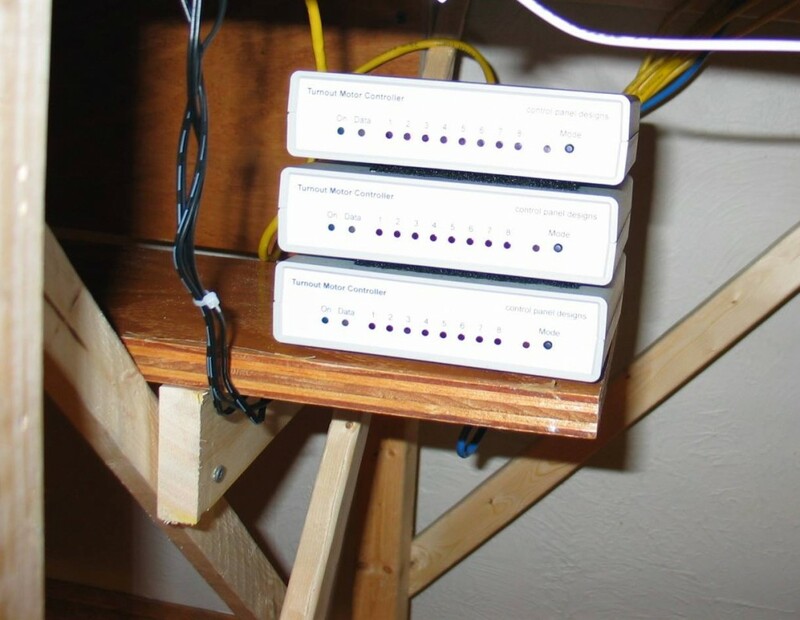 With our solution the customer was able to control both types of turnout motors with the one solution. See Solution Diagram below. 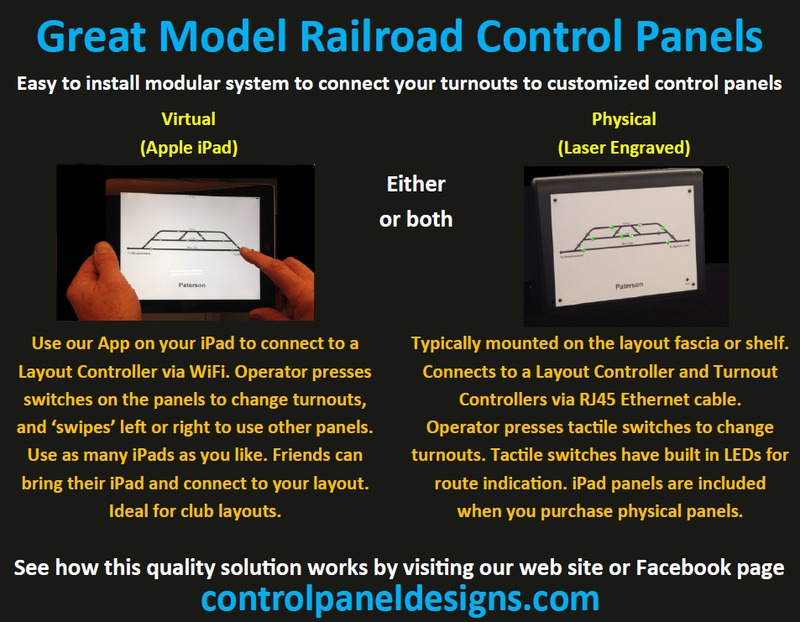 Keeping you informed – Control Panel Designs has advertised our solutions in “Australian Model Railway Magazine” (AMRM). Please see our ad on Page 4 of the December Issue. I have included a copy of the advert below. 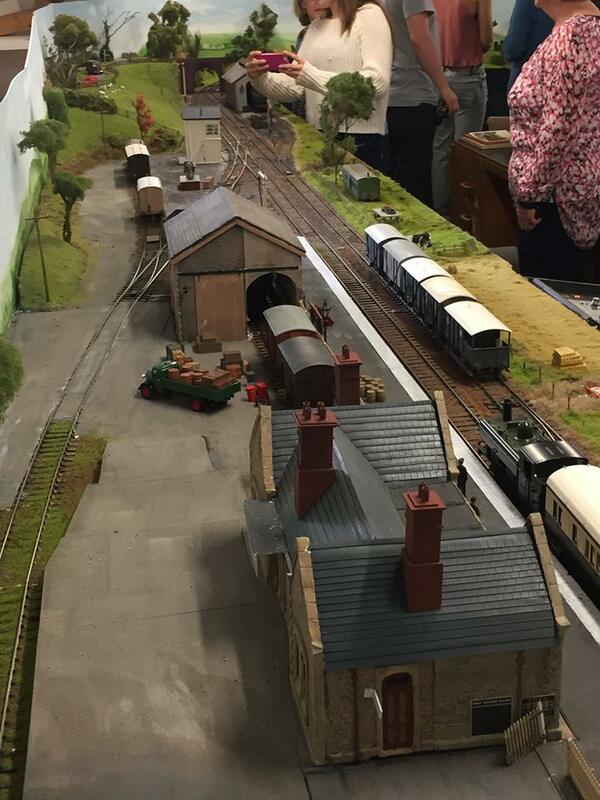 This layout was exhibited at the Perth Model Railway Exhibition in the past. 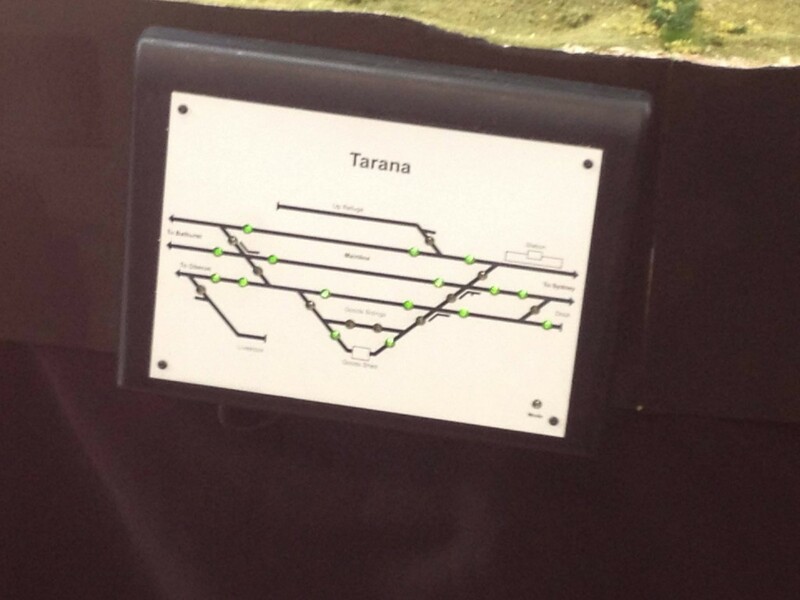 It is ‘Tarana’, and actual town in NSW set in the 1960/1970s. This layout, resident in the USA, is a relatively large around the walls layout that uses our control panels and modules. 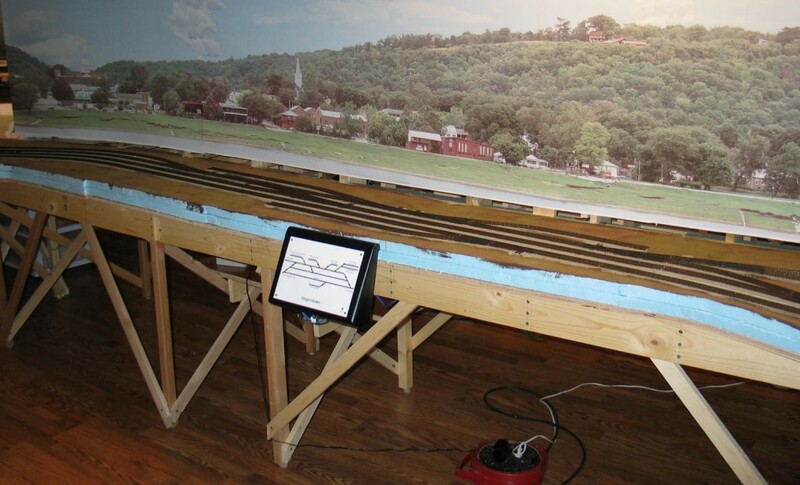 The layout was still under construction when the control panels were acquired. 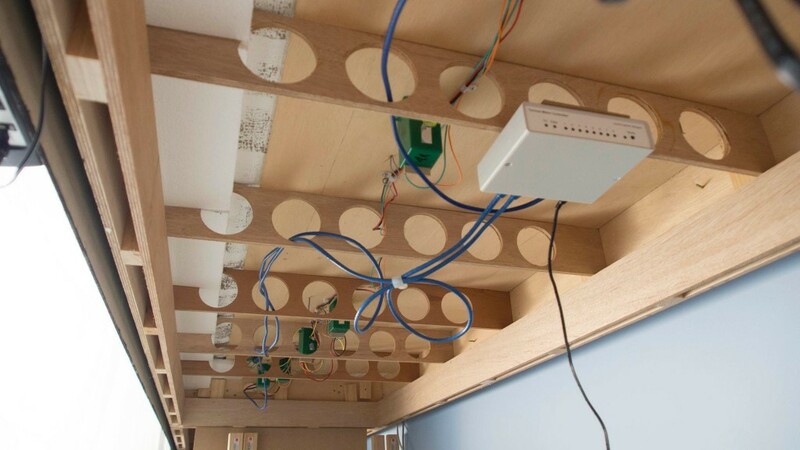 This is a good thing, as the owner is able to use the panels and modules when installing point motors. 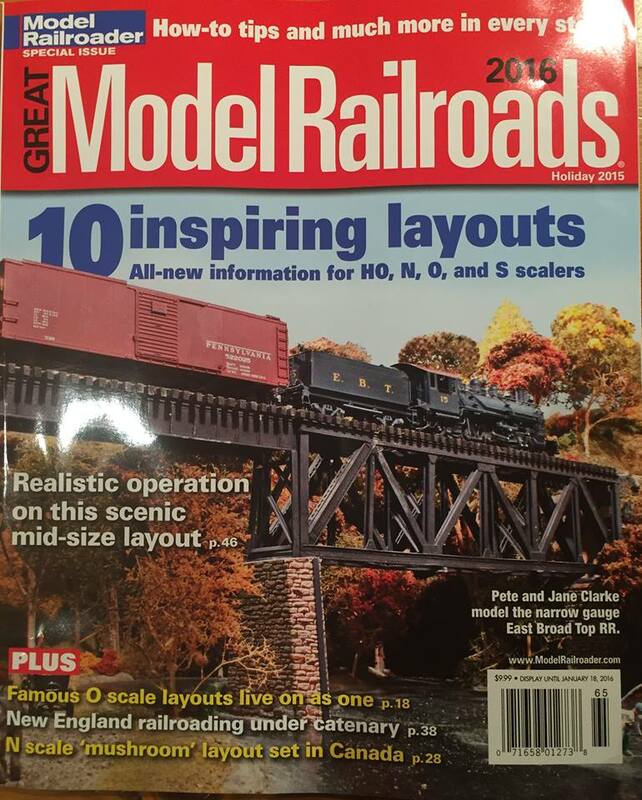 Please enjoy some preliminary photos of this wonderful layout. 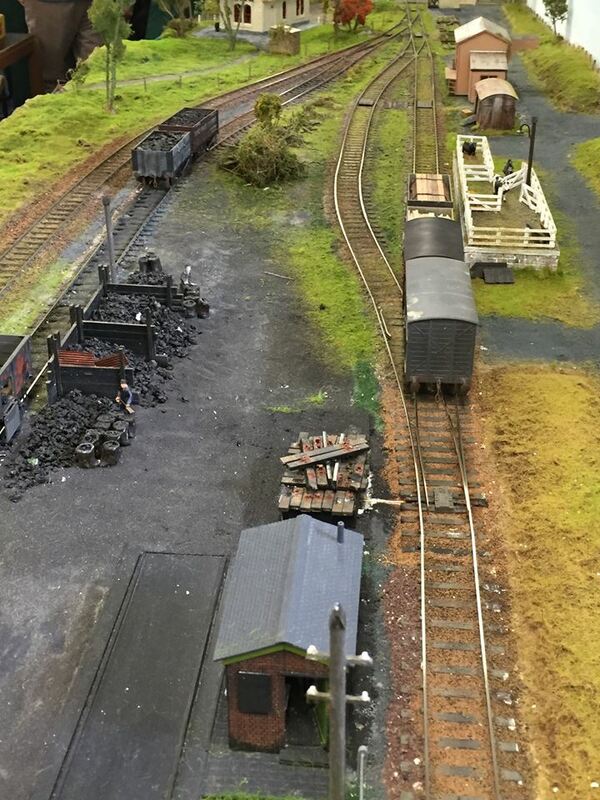 This photograph shows one of our Turnout Controllers mounted underneath “Oberon” a layout by Peter Higgins. Tortoise turnout motors are used, and are connected to the Turnout Controller via an Ethernet cable and a wiring adapter. 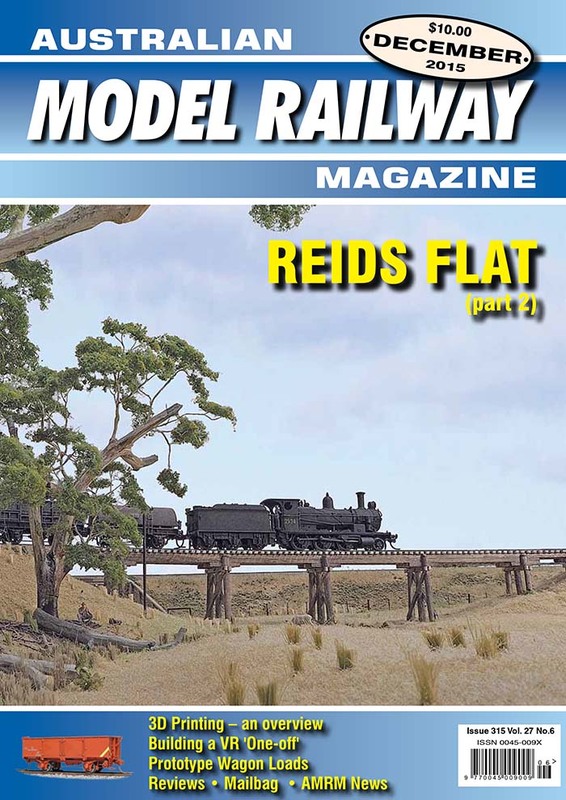 The current issue of Australian Model Railway Magazine features “Oberon” a New South Wales based model railway by Peter Higgins. 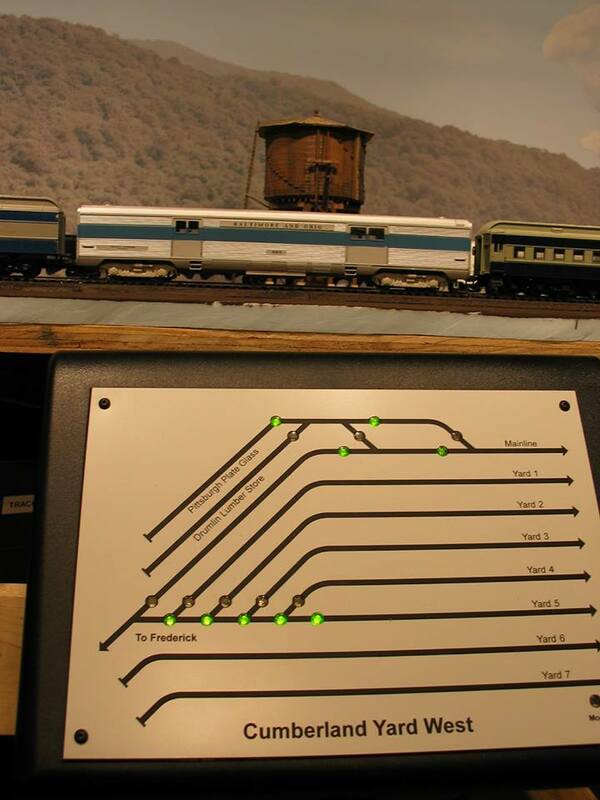 Peter uses a control panel supplied by Control Panel Designs to control his layout. 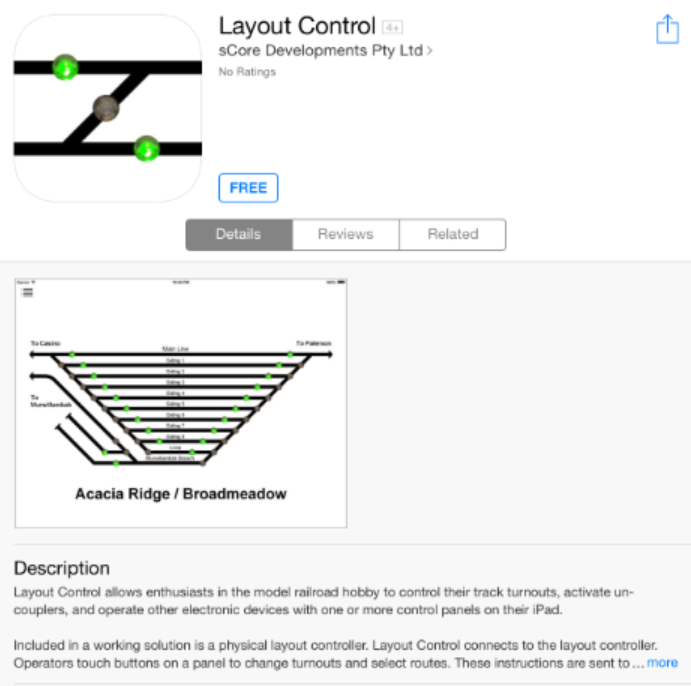 Our iPad app (Layout Control) is now available for download from the Apple App Store. Search for “Layout Control”. Please note that the app requires a Layout Controller before panels can be used. However, the app includes a demonstration, documentation, and how to get started. Click on the Menu icon in the app to view the Installation Guide.